Discussion in 'Downhill & Freeride' started by frango, Mar 25, 2013. 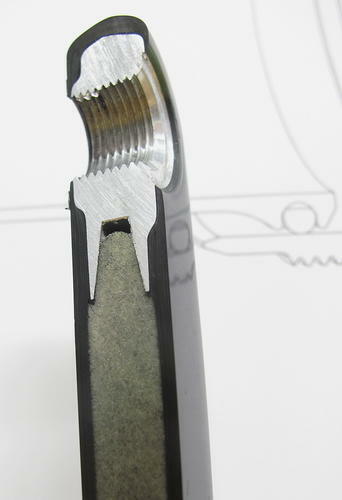 I am looking for a picture of a cross section cut of Truvativ XO DH crank arms. 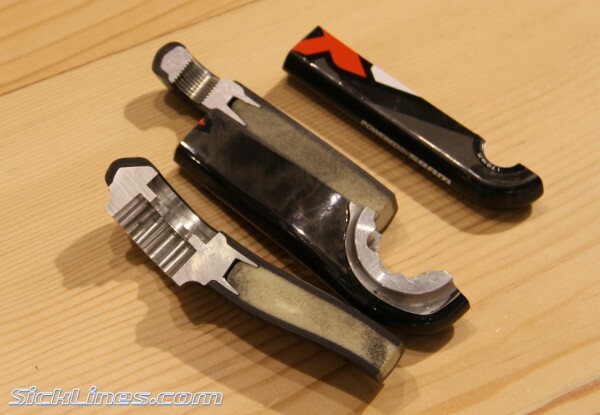 What I have found, so far, was the pic of 2x10 XO crank arms. A buddy got black/chrome XO DH cranks off of eBay. I think they were an OEM takeoff. Well, this is exactly what I want to know... regular XO has got pedal and axle inserts. The arm is hollow, filled with "foam". Is there anything that makes DH version stronger? Will a partial section work? Saint is the cure for that. Is this how XO DH crank arms look, too? I dont know if i trust those cranks? easily to crack? Local Pro been riding MTB for 2 years broke 2 sets within 4 months. I would have tried them but heard this so I will wait for something else. dude it's carbon, it's perfectly fine, don't you know that? Especially in areas where it'll be under constant abuse, like scratches from rocks. 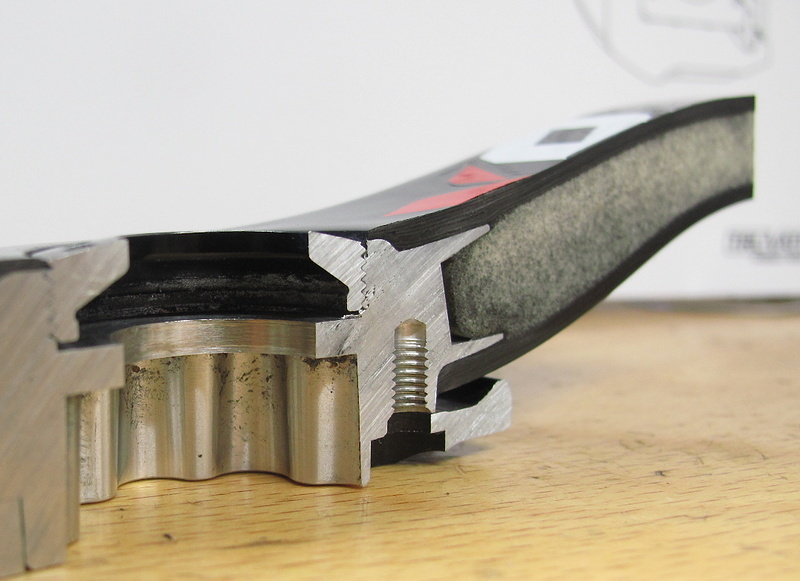 Besides, SRAM has the best QC in the industry. They'll look great on your 28lb DH bike. Raceface SixC are lighter. Are they also generally suspected to be stronger? I'm considering a set to replace my 5 year old Gravity Lights which were supposed to be an easily bent crank that's been fine under me so I guess even when I land one footed I'm easy on cranks. I've just came back from week in Sanremo, where I saw 2 sets of XO DH crankset which have been abused for nearly 2 seasons by 2 very fast riders. Both claimed there have been no issues at all. 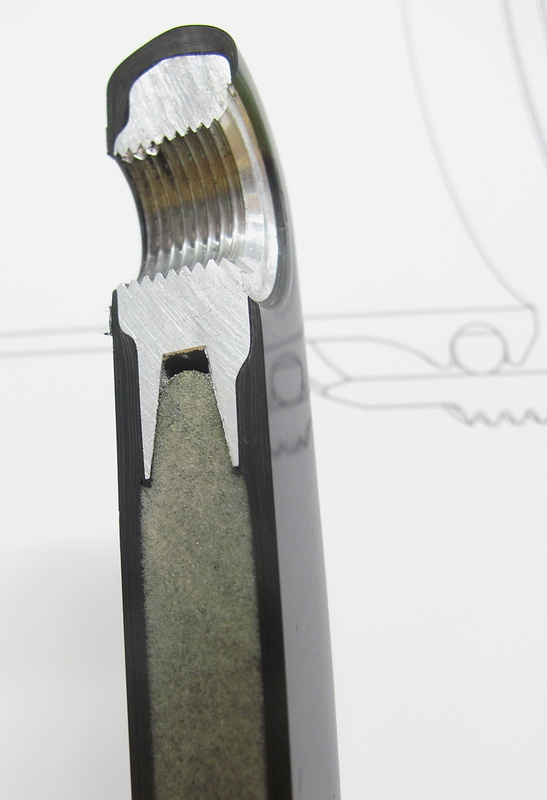 Cranks were pretty scratched with no traces of more serious damages. My concerns about lack of strength and resistance are smaller. RF SixC are much more expensive and seem not to be popular among DHers. I have been riding those cranks on my DH bike without issues. However, I do have one foot that likes to rub cranks raw so I am starting to wonder if I should find some more of the protective plastic sheet that wore off in a few days. Can you post the pic of your cranks, Ben? They're also lighter .But,I haven't seen several pics of broken ones,like the SRAM cranks.Im sure they're out there,just haven't seen them. The RF SixC rubber end caps fit the XOs, too. They have helped keep my buddies XO crank ends relatively unscathed over the past year. Anyone know where to find those? edit: found 'em. you have to search for "boots".